We may collect the following information when you make a booking or make enquiries about a Holiday. 1. In the provision of your holiday arrangements and for the purpose of providing you with our services, including your flights, holiday, yacht charter, etc., we may disclose and process your information outside the UK/EEA. In order for you to travel abroad, it may be mandatory (as required by government authorities at the point(s) of departure and/or destination) to disclose and process your information for immigration, border control, security and anti-terrorism purposes, or any other purposes which they determine appropriate. Some countries will only permit travel if you provide your advance passenger data. These requirements may differ depending on your destination and you are advised to check. Even if not mandatory, we may exercise our discretion to assist where appropriate. 2. Information (such as health or religion) may be considered “sensitive personal data” under the Data Protection Act 1998. We collect it to cater to your needs or act in your interest, and we are only prepared to accept sensitive personal data on the condition that we have your positive consent. By booking with us you also agree for your insurers, their agents and medical staff to exchange relevant information and sensitive personal data with us in circumstances where we/they need to act on your behalf or in the interest of passengers or in an emergency. We may from time to time contact you with information on offers of goods and services, brochures, new products, special offers or other information you may find interesting. Our websites will assume that you agree to e-communications when you make a booking. We will tailor the information we send you unless you tell us not to. This will enable us to send you more personalised and relevant communications. You will be given the opportunity on every communication to opt-out of this personalisation. We are committed to ensuring that your information is secure. In order to prevent unauthorised access or disclosure, we have put in place suitable physical, electronic and management procedures to safeguard and secure the information we collect online. if you have previously agreed to us using your personal information for direct marketing purposes, you may change your mind at any time by writing to or emailing us at the address shown below. You may request details of personal information which we hold about you under the Data Protection Act 1998. A small fee will be payable. 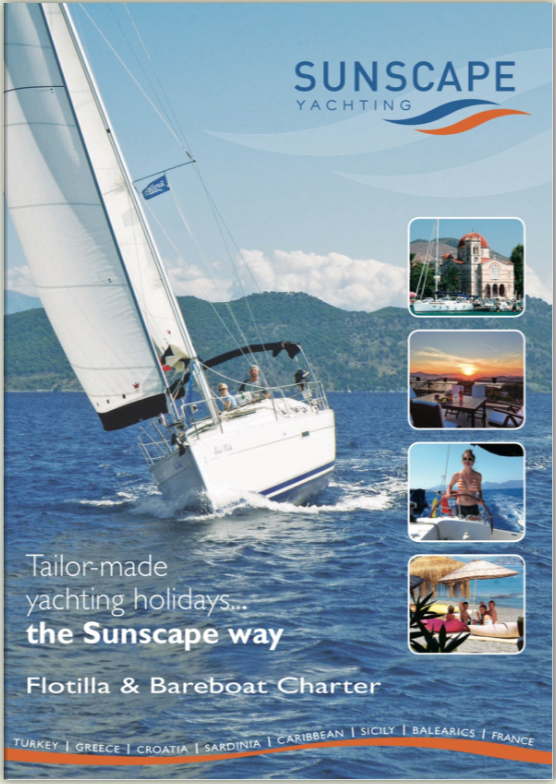 If you would like a copy of the information held on you please write to charter@sunscapeyachting.co.uk.